Royal Crown Derby is pleased to present its new spring/summer tableware collections, revealing industry firsts by extending the technicalities in producing fine bone china. Introducing the Studio Glaze collection featuring a hand-applied brushed glaze that creates subtle differences in each piece. Richly coloured glazes create a textured interplay of materials to deliver a tactile and silky sheen on the surface of each piece. 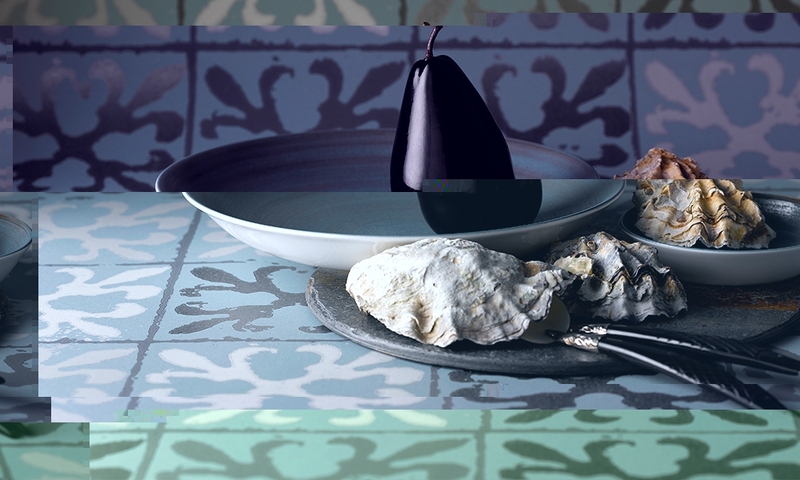 Offered in three dramatic colourways; Almost Midnight, Ocean Whisper and Classic Vanilla, the stylish and contemporary new collection has been created to meet aspirations for the very best luxury casual tableware, which is attainable and functional. 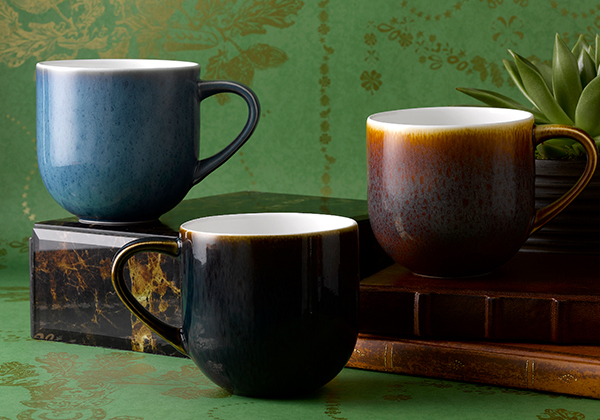 Discover the Studio Glaze collection here. 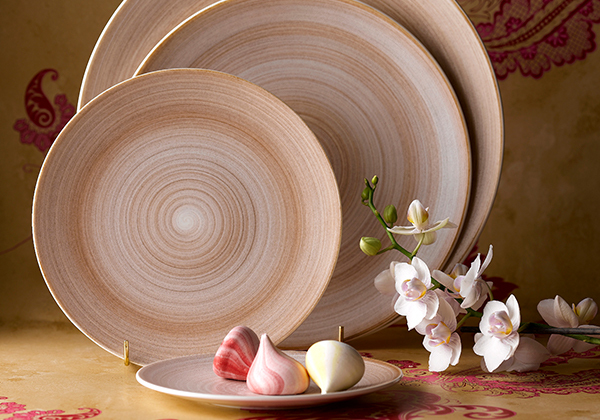 In addition, by extending the technicalities of producing fine bone china, the new Art Glaze collection showcases Royal Crown Derby's innovation and design techniques through the use of a reactive glaze application unseen before on such a pure, translucent material. The Art Glaze collection is created using a hand applied sprayed art glaze finish to each piece producing a completely unique result. 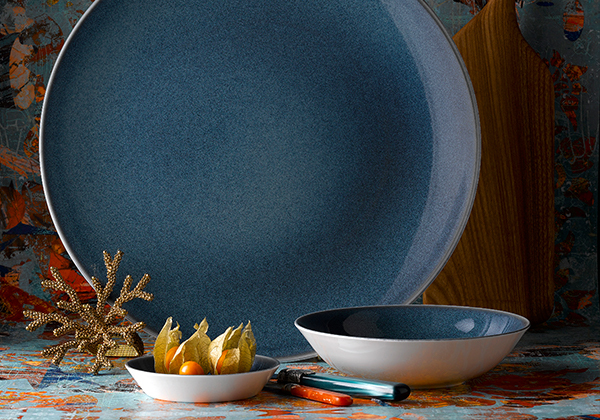 Explore the Art Glaze collection here. The new Effervesce range is offered in two stylish colourways, the cool and contemporary Pearl and sophisticated Aqua. A collection with a playful textured-effect pattern representing the effervescent bubbles of a fine Champagne. The skilfully crafted collection is expertly finished in hand-applied platinum, adding a touch of luxury to each piece and comprises of a new range of square plates to give versatility and elegance to any dining occasion. View the Effervesce collection here. 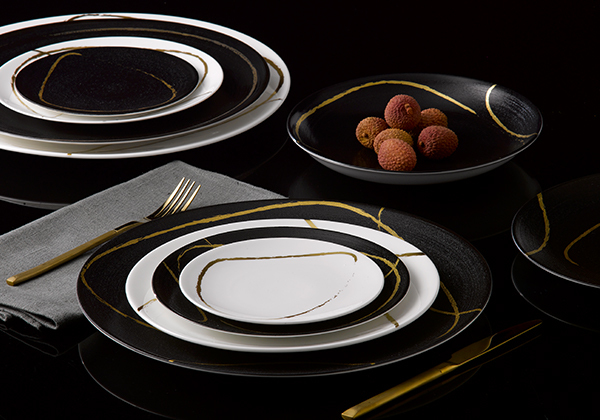 Skillfully crafted, Sketch has been designed to combine a unique 22-carat gold pattern reminiscent of an artist’s brushstroke with the purity and strength of fine bone china, available in two contrasting colourways – Chalk and Charcoal. The stunning new collection boasts a delicate and natural hand-drawn appearance in the design, presenting an exquisite modern aesthetic that exudes luxury yet demonstrates strength in everyday use. Experience the Sketch collection here. 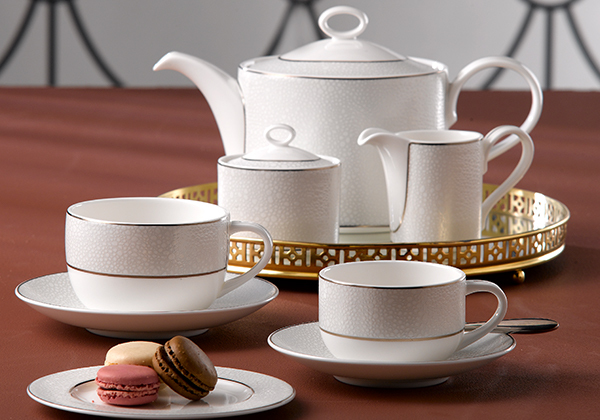 All four collections comprise of Royal Crown Derby’s new ‘urban’ shaped mug, together with three-sized cups and saucers, alongside elegant coupe shapes and flat rim pieces helping to provide a modern look for the contemporary dining experience.